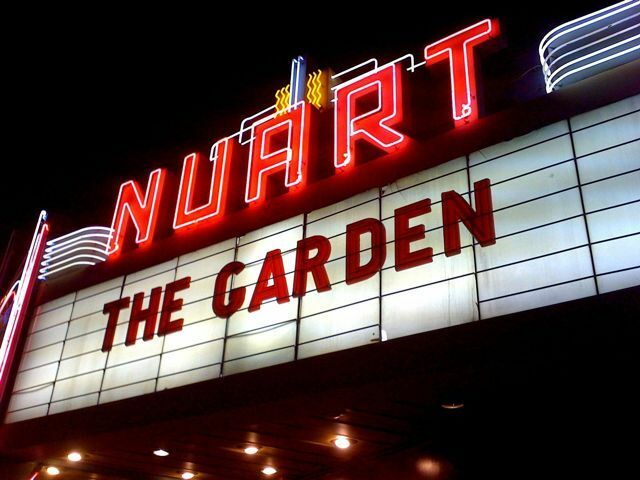 This past Saturday night Ryan and I attended the opening weekend of the oscar-nominated film (that Ryan worked on as the online editor and trailer editor), The Garden, at the NuArt Theatre. 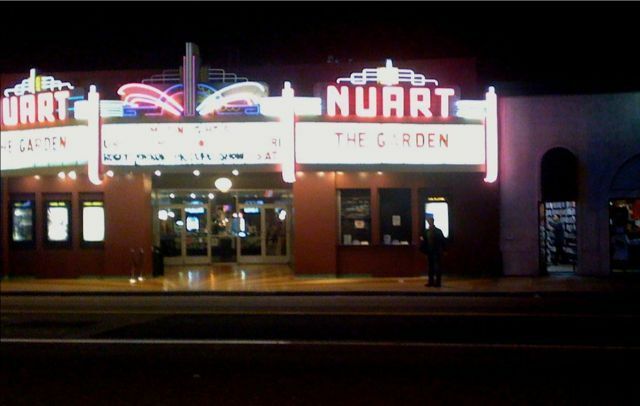 In this first photo, the man standing beneath the marquee is actually Scott Hamilton Kennedy, the director. He’d stopped to wave at us so I took his pic! Here’s Ryan about to cross the street with me to get the pic from the other side. Here’s the sign in all it’s glory. The Q&A that we attended at the NuArt was the best we’d heard yet. 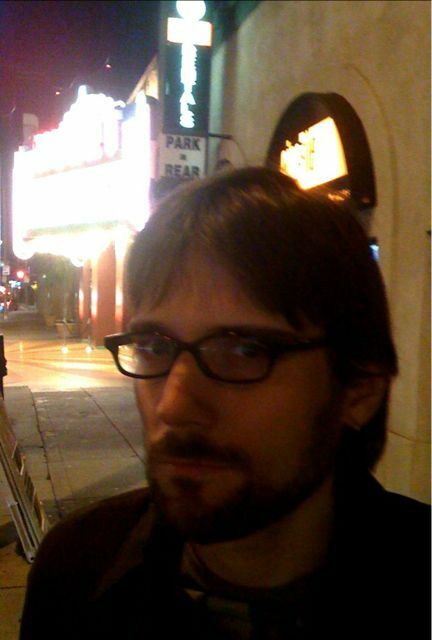 It’s evident that Scott is in his stride as an indie-filmmaker and has heard almost all the questions about the film he’s going to hear. He did an excellent job moderating. Also, the impassioned and intelligent audience made for a great Q&A session. This entry was posted on Monday, April 27th, 2009 at 8:46 am and is filed under Hollywood. You can follow any responses to this entry through the RSS 2.0 feed. You can leave a response, or trackback from your own site.